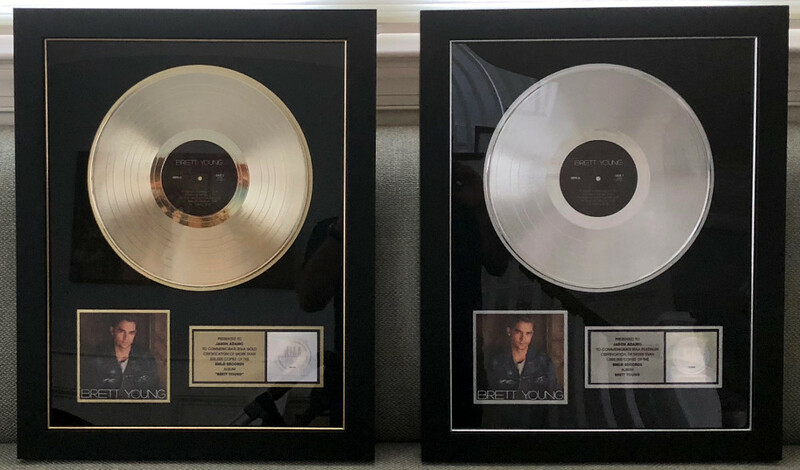 I recently received an RIAA certified Platinum plaque for my contribution as a songwriter on Brett Young’s debut album “Brett Young” on The Big Machine Label Group, for surpassing 1 million albums sold. I could not be more excited! Myself and Brett, along with Annie Wildgen, penned the song “Beautiful Believer” together while I was living in Nashville, Tennessee, which appears on the album. Here are a couple of photos that I wanted to share with you, my fans. I appreciate all of your support, and the inspiration that it provides!